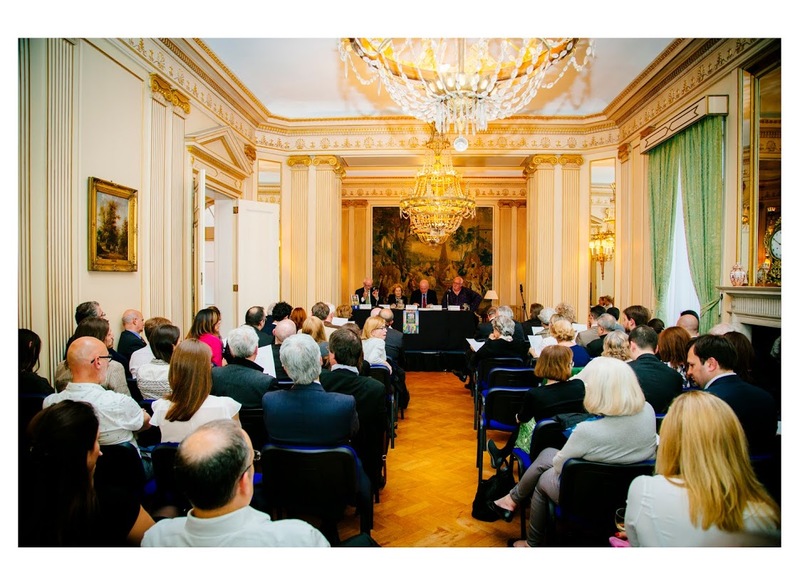 On Wednesday 14 May, a large audience of specialists and non-specialists gathered at the Residence of the Argentine Ambassador in London for a round-table discussion to greet the launch of this recent volume on Jorge Luis Borges. The editor, Edwin Williamson (Oxford) and three of the contributors, Evelyn Fishburn (London), Robin Fiddian (Oxford) and Philip Swanson (Sheffield) were welcomed by the Ambassador, Her Excellency Sra. Alicia Castro. Ambassador Castro opened proceedings with a very personal recollection of Borges and his comments on the fate of the military junta in the wake of the end of the dictatorship in the 1980s. Professor Williamson then introduced the Companion, a work that aims to bring together an international group of Borges scholars to discuss all aspects of the writer’s oeuvre, including stories, poetry and essays, in their historical and biographical context. 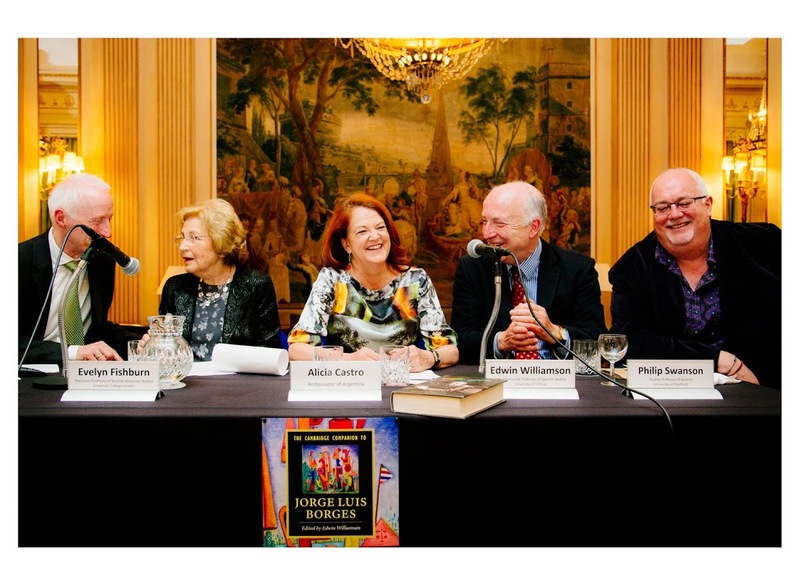 The other panellists then spoke about their own contributions to the volume. Evelyn Fishburn assessed religious themes in Borges’ work, including his interest in kabbalah and mysticism. Robin Fiddian presented his recent work on the relationship between post-colonial theory and the Argentine’s cuentos and poems. Philip Swanson continued this insight into the Companion with a presentation on the presence of popular culture in Borges’s writing. Although widely regarded as an erudite writer divorced from the masses and contemporary forms of entertainment, one cannot overlook the importance of film, detective fiction, and tango in the Argentine’s work. Edwin Williamson then gave a summary of his own chapter in the volume, a periodization of Borges’ literary career with reference to his socio-political engagements. 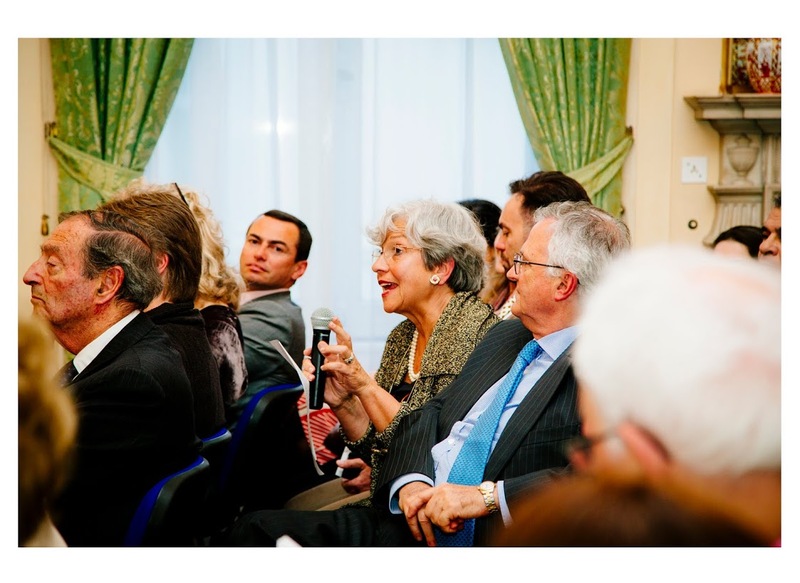 A lively round of questions and answers followed, linking the biographical to the literary, and these exchanges overflowed into informal discussions during the drinks reception. Details of the Companion can be found on the Cambridge University Press website. Ben Bollig, St Catherine’s College, Oxford. All photographs kindly provided by the Argentine Embassy Press Office. This entry was posted in 21st century, book launch, jorge luis borges, latin america, latin american literature on 12/06/2014 by ACLAIIR.